While I don’t agree with Tillerson about supporting a carbon tax should a consensus about it (not clear among whom) emerge, this kind of sticking to principles when under attack is rare among business leaders. Following the popular “stakeholder” approach, many opt to appease any critic that claims to have a “stake” in a company, whether environmental NGOs or pension funds that have jumped on the climate change bandwagon. The Exxon CEO is a rare exception, with the courage to defend his company’s moral right to pursue its own interest: profitable production of fossil fuels. It is a shame that so many corporate leaders do not stand up and defend their companies, because such moral defense is necessary for a company to survive and succeed in the long term. There are a few important facts that these corporate appeasers seem to forget. 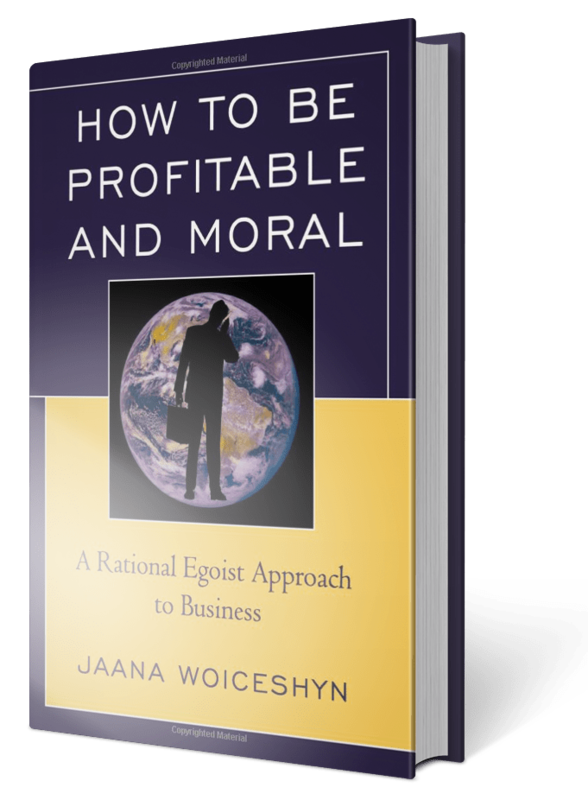 First, business is a moral endeavor: it produces the material values, the goods and services—including affordable energy in a useable form—that our lives depend on. Second, to be able to fulfill this important role, business firms (the people who operate them) must adhere to facts first hand and apply valid moral principles consistently and not follow their critics blindly.—Imagine companies stopping all oil production and us trying to flourish, yet alone to survive, only on the still unreliable, expensive albeit renewable wind and solar energy). The third fact the corporate appeases forget is the importance of freedom to the creation and trade of material values. That freedom of course means the pursuit of one’s own interest without violating the individual rights of others. The more you appease, the more you get attacked. The more you assert your moral right to pursue your interests, while not violating others’ individual rights, the more you discourage your critics—and the more you are able to achieve your values. Compare Shell’s and Exxon’s annual meetings for evidence. As per one report, Exxon’s meeting seemed “far less fractious” than that of Shell, despite the presence of environmentalist critics at both. The difference? Shell’s appeasement of their critics and Exxon’s unapologetic defense of its right to produce energy from fossil fuels. We need more voices of reason and integrity defending business—and fewer appeasers of its irrational critics. Thank you, Rex Tillerson. Reblogged this on My BlogSocialDynamos.WordPress.com. Another reason not to buy fuel from Petrocan. (Though Esso stations aren’t run any better, I was supporting them due Exxon’s statements years ago. Much mediocrity, here an unusual situation provides the best stations – the Peninsula Coop is big into gas stations, they have at least a dozen on southern VI. One even has disposable mitts to keep your hands clean when pumping, all offer they-serve not just self-serve (my mother wanted that as she aged while still driving). Thanks, Keith! I knew about Suncor’s appeasement activities, but couldn’t include those in the post (trying to stick to my word limit…).